You may not know it, but you’re a very popular person. Hundreds of companies have been trying to reach you today and they’re using a sophisticated battery of social networks, search engines, videos, mobile apps, and display ads to do it. These enterprises may be spending millions and have a small army of marketing people pulling reports, combing through Excel files, and clicking through dashboards, frantically trying to find the signal in the noise of what’s working to reach you, and what’s not. If marketing is both an art and a science, the science part has become explosively complex in the past few years with the increasing fragmentation of marketing channels and the necessity to tie marketing investment to business returns. Today I’m thrilled to announce our investment in Origami Logic, a company that has decoded this explosion of marketing signals into a powerful decision support system for Marketing. Origami is one of the most innovative marketing technology companies I’ve seen in my decade of experience working and investing in this area, including Google AdWords, YouTube, Wildfire, and Optimizely. At Next World Capital, where we have a deep thematic investment focus on SaaS, Big Data, and other enterprise technologies, we’ve been looking for the breakout company that would move the conversation from just aggregating marketing data to powering decision-making and optimization. Origami is the beautiful intersection of Big Data and SaaS that delivers on this and provides daily insights to the Marketing organization, from the leadership team focused on strategic decisions to the front-line teams focused on execution. Co-founders CEO Opher Kahane and CTO Ofer Shaked are friends from their Israeli Defense Force days, where they built solutions for analyzing national security signals. Their experience came full circle to give them unique insights into creating the first Marketing Signals Measurement platform. In between they were successful entrepreneurs who founded, grew, and sold companies to Yahoo! and Juniper. Joined by third co-founder and VP Product Alon Amit, who built advertising platforms at Google and Facebook, we saw a team with the deep technical, product, and business know-how to tackle the signals measurement challenge. They went on to create an all-star management team with leaders from Responsys and Jive who have deep domain knowledge and experience selling SaaS solutions. All of the customers we spoke with commented on Origami’s rare combination of super smart, deeply knowledgeable, highly collaborative, and empathetic team members who delivered and delighted at every touch point. While data-driven marketing is not a new thing, there has been a monumental shift in the marketing landscape over the past few years. The volume, variety, and velocity of marketing signals has outgrown what is possible to measure and act upon with today’s tools. Marketing leaders may have been able to answer the question of what happened last month. However, until now, they’ve had limited context as to why, less insight into what will happen next, and little data-driven guidance to effectively optimize their marketing budget for maximum impact. Secondly, there has been significant fragmentation in the market as more platforms emerge and competition to reach target audiences intensifies, only to generate hundreds or even thousands more permutations for how to split marketing budgets. This has lead to a growing and acute market pain point which Origami solves. We were impressed by Origami’s differentiated and defensible technology under the hood and its ease of use in the cockpit. 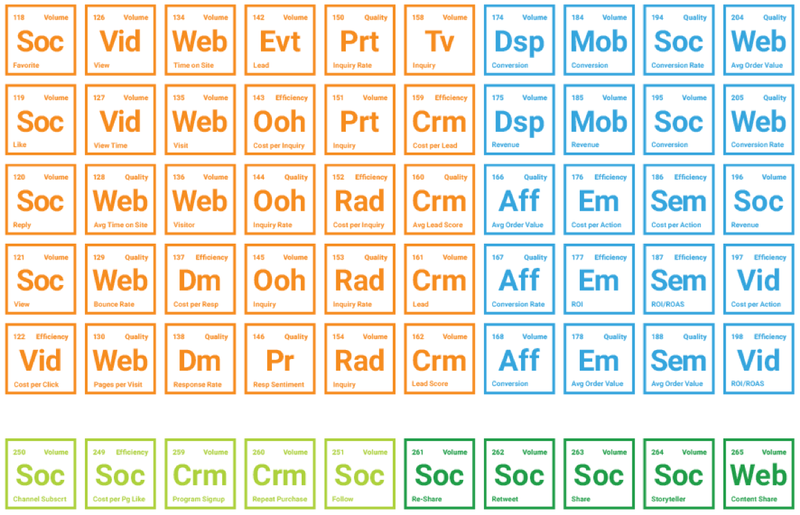 Part of their secret sauce is keeping an up-to-the minute view of hundreds of different marketing signals, including cleansing, harmonizing, and putting these signals into a taxonomy that is actionable by marketers. This is possible because of Origami’s ability to leverage recent advances in Big Data. Global brands are now using Origami’s Marketing Signal Measurement Platform for solutions such as in-flight campaign tracking and optimization, competitive campaign intelligence, content and creative analytics, and digital command centers. It already works with the most popular marketing channels and is easy to deploy and easy to use, requiring no custom coding or lengthy training. Because Origami has built a true platform with API access, the current applications included with the platform are just a start, with some exciting new applications coming soon. Some of most innovative B2C and B2B marketers in the world are already happy Origami customers, including Visa, Cisco, American Express, and Omni Hotels, and their go-to-market traction has been rapidly accelerating. We were impressed not only by the remarkable size of their customer contracts, because also because a large percentage of customers quickly expanded their contracts with Origami not long after their initial deployments. Moreover, as the only US venture capital firm which helps companies expand into Europe, where 30% of global IT dollars are spent, we back companies which are on track to become global winners and saw significant opportunity for Origami to extend their growing European footprint. We believe Origami will become the command center that the Enterprise Marketing function has been missing. I’m looking forward to joining Origami’s board of directors and working closely with the team to help Marketers around the world separate the signal from the noise. This entry was posted in Enterprise Apps, SaaS and tagged Marketing Signal Measurement, MarketingTech on September 29, 2015 by tomrikert.